Hello and a BIG Welcome to my NEW Video Blog! 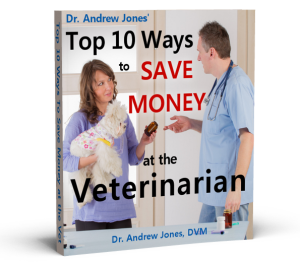 This is Episode 1: How to Diagnose and Treat Your Dog’s Back Pain at home. P.S. The new Inner Circle Video is Back Pain: Signs, Causes and Natural Solutions. In it I reveal my MOST effective holistic back pain relief options..
You did great! (as always) Look forward to more…hope you do lots o’ cats stuff in the future. I’m a little confused. You said after a couple days of the treatment Jessie was back to normal, yet it was obvious when you made him stand he is still in quite a bit of pain and was standing with his head down, also indicating pain. Is that normal for him because of his age? Or will this be an ongoing treatment that will actually take a while to release the pinched nerve? You did very well! I really love videos as, to use an old cliche, “A picture is worth a thousand words”. Its easier to understand when you see it being done. So thank you for going in this direction….loved it! I am curious about the same thing that Karleen asked. Jessie doesn’t act like he’s back to normal to me. I do like that you added videos though! Thank you! This is a great idea to your already helpful and informative newsletter! So helpful to see it hands on as I am a visual learner. I hope Jesse is doing much better these days. He’s a sweet boy. I agree with Karen. Your dog did seem really uncomfortable. informative and most important I was able to understand it! This is a great way to keep in touch with your customers,past present and future. Looking forward to watch more of these-Great Job ! Your first video was a hit! I also appreciated seeing/hearing all your alternative med. info you had to share. I also observed the same thing as Karleen (comment #2) & have the same question. Also where can I get the homeopathic aspirin you mentioned in the video? This was awesome,can’t wait for the next one! Good job! The video blog is a great idea. I will be looking forward to the cat info. I agree that Jesse still was uncomfortable. 2 suggestions to help especially newcomers learning to care for their pets. Ice works great for taking away inflammation, cover with a towel on bare skin. Also, maybe slow your movements down a bit so you can monitor their comfort/pain level. Thanks so much for videos and info.